In our delayed round 4, you took us into parts of flowers only insects get to see. 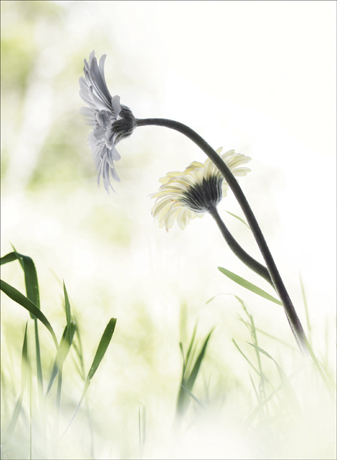 Michael Lainchbury, of London, wins first place in our Flowers and plants round of APOY 2010. Michael will receive Canon?s EOS 50D and EF-S 60mm f/2.8 macro USM lens kit, worth £1,399.99. The EOS 50D features a 15.1MP APS-C CMOS sensor, Digic 4 processor, ISO range up to 12,800 and captures 6.3 frames per second with continuous bursts of up to 90 JPEGs. The EF-S 60mm f/2.8 macro USM is the first true macro lens in the EF-S series and offers high corner-to-corner resolution, contrast and image quality. Our second-placed winner is Meredith Wilson, of Greater London, who will receive Canon?s PowerShot SX20 IS compact camera, worth £389. Boasting a 12.1MP CCD sensor and a 20x wideangle (28mm) zoom lens with IS, the SX20 also features HD movie capability, face and motion detection, and a hotshoe for external flash. 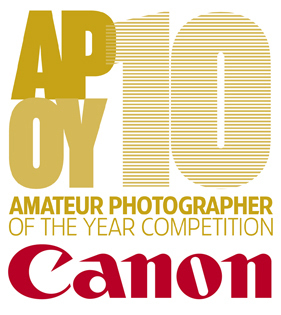 Sean Slevin, of Ireland, finished third in the round and receives Canon?s 12.1MP PowerShot A3100 IS, worth £159. This slim digital compact packs a big punch and features a 4x optical zoom with Optical Image Stabilizer, a 2.7in LCD, Motion Detection Technology, Smart Auto and Easy Modes and capability for VGA movies. After a short hiccup on the technical side of APOY, you all very kindly re-sent your images for our In Bloom round and our judges were blown away by the quality. This was perhaps our strongest round of the year to date. We thank you for your patience with us while we resolved our hard disk failure. With five rounds now complete (Round 6 results will be in next week?s – issue 28 August 2010)), our leader board is still a wide open competition. With his first-place finish this round, Michael Lainchbury jumps back into the top 5, as does Sean Slevin on the strength of his third-place finish. Don?t worry if you didn?t make it this time ? there is still plenty of time to catch up! Michael liked the way the water crystallised into little stars on the stamens of this frosted germini, particularly how the frost picked up the texture of the petals. 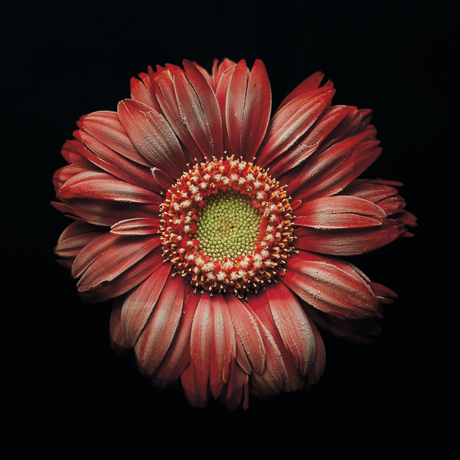 ?I chose a black background to set a strong contrast against the red flower,? he says. ?Photographing flowers hasn?t interested me in the past, but I really enjoyed this challenge. I have a new respect for how difficult it is to bring out the subtle intricacies of plant life.? Judges say Michael?s superb image is a lesson in how to use your camera. It?s pin-sharp, perfectly exposed, with strong (but not overdone) colour and shot from an interesting angle. 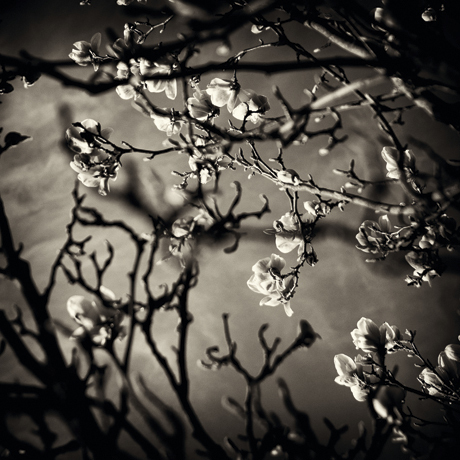 Meredith, who shoots with everything from a Canon EOS 40D to a Bronica SQ-A and an iPhone, shot these magnolia blooms in her garden. Not content with the usual view of these flowers, Meredith opted to shoot directly up through the branches. She captured some nice colour, ?but I thought it lacked impact,? she says. ?I love the dramatic, almost theatrical feel the b&w has given it.? Judges say This is a delightful use of b&w with a really nice range of tones. Meredith has created an eerie, noir sort of image with that Sarah Moon quality of mystery and timelessness. Sean felt he had some catching up to do in APOY, so he decided to think outside the box. ?I had the idea of viewing the world from an insect?s level and capturing the early morning light,? he says. ?With my camera at ground level, I focused on the flower heads with the grass directly in front of the lens out of focus to create depth. Judges say We love the desaturated colours and the ultra-low perspective. Whether Sean intended it this literally or not, we really do get the sense in this image of what an insect might see.